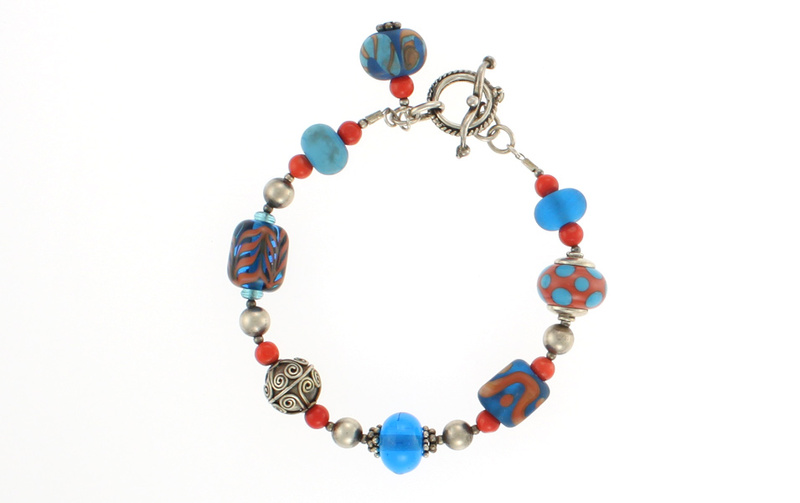 More lampwork beads by Dianne Springer paired with genuine coral and Bali sterling silver. Ask about the fabulous Turquoise is Hot necklace that matches it. Fits 7 – 7.5 inch wrist.